Following on from my last blog post I now want to run through how to identify large queries using Extended Events. Extended Events were introduced in SQL Server 2008 and allow monitoring to be run against a server with a lower performance impact than profiler sessions and server side traces. The script above will capture all SQL batches executed on the server that perform over 200,000 reads. I’ve set the target as a .XEL file and have defined what information to capture. 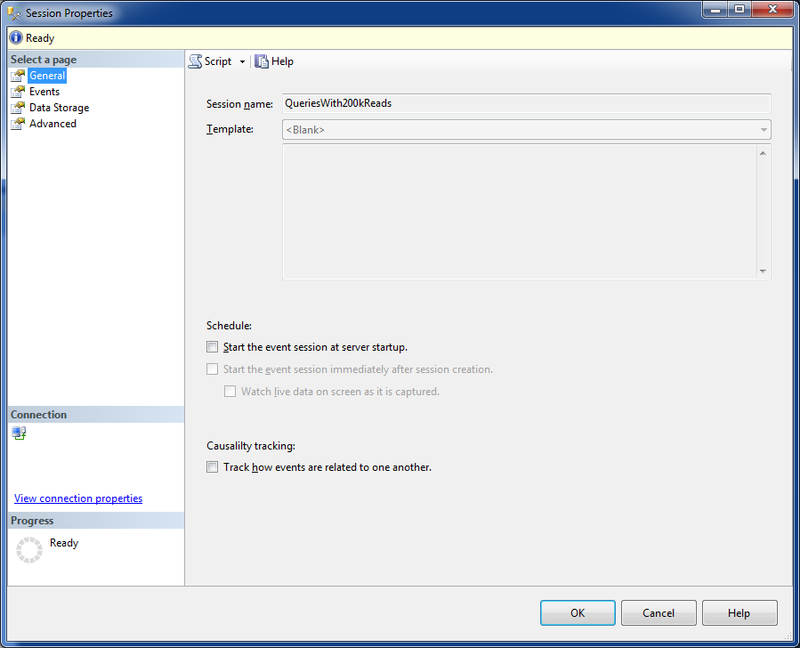 To query the data, XQUERY can be used. The below script grabs all the data from the session in a CTE and then combines it to give an overall view so that we can see which queries are being executed the most and are causing the most pain! But what if we want to change the session? 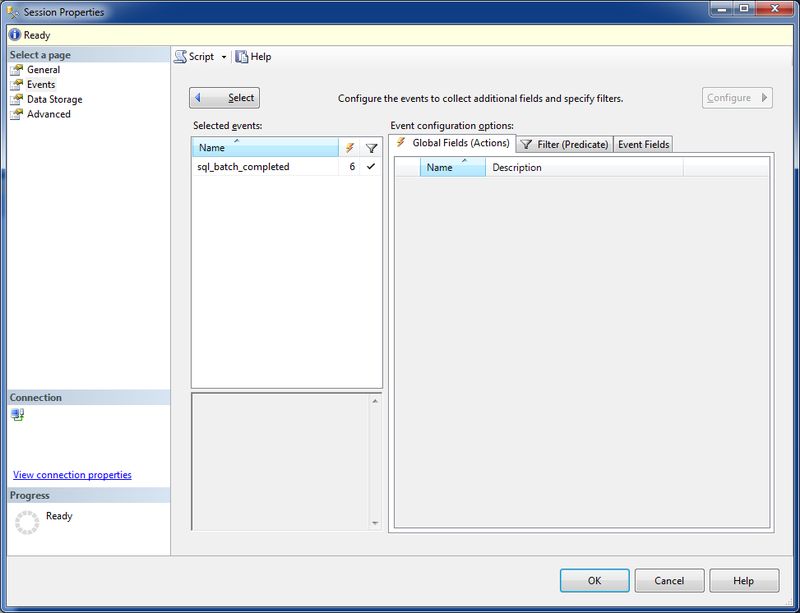 In SQL Server 2012 a GUI was introduced so sessions can be setup and changed easily. At the moment, the session picks up queries that are performing over 200,000 logical reads. 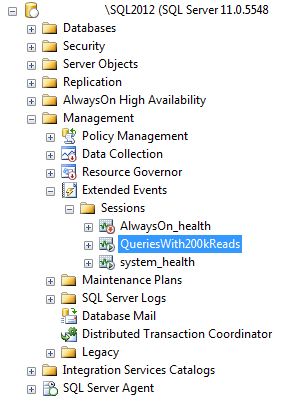 What if we wanted to also include any queries that are performing a large amount of physical reads? 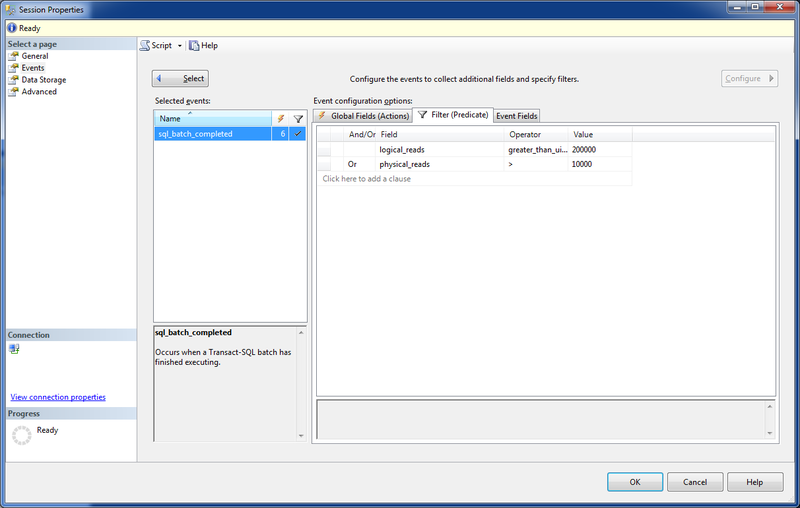 In order to do this, in Object Explorer go to Management > Extended Events > Sessions. Right click the session and then go to properties. Select OR in the And/Or box and then select Physical Reads, Greater than (>) and 10000 in the adjacent boxes. Finally there is also the ability to watch events as they are captured (think profiler session with a lot less impact). 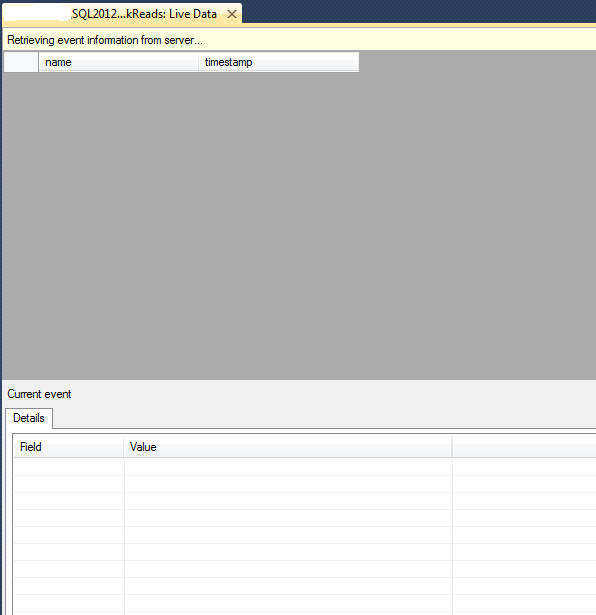 Again in Object Explorer go to Management > Extended Events > Sessions. Right click the session and select Watch Live Data. Columns can be added by right clicking the existing columns and selecting Choose Columns. 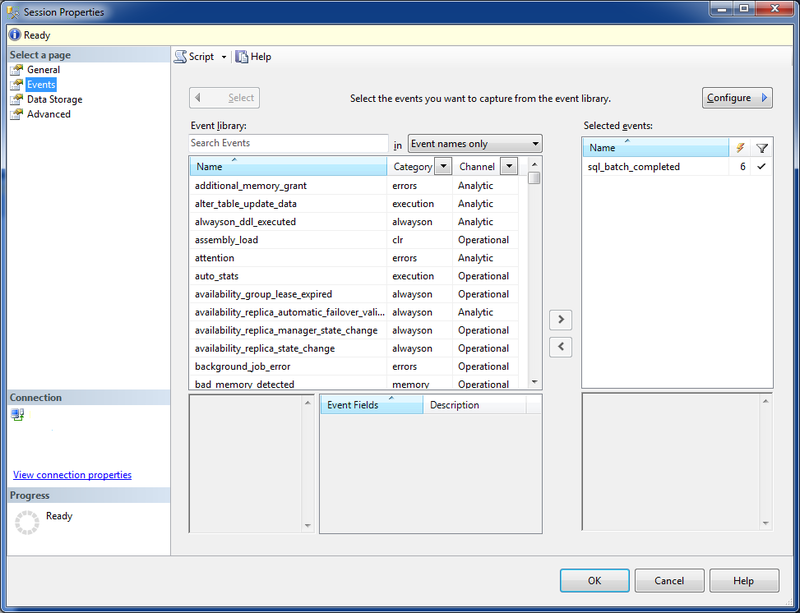 And there you have it, how to setup and alter an Extended Event session using scripts and/or the GUI. This entry was posted in Extended Events, Monitoring. Bookmark the permalink.